The Statue of Liberty is one of our nation's most enduring symbols and is well represented in the collections with art, posters, stamps, memorabilia, and more. 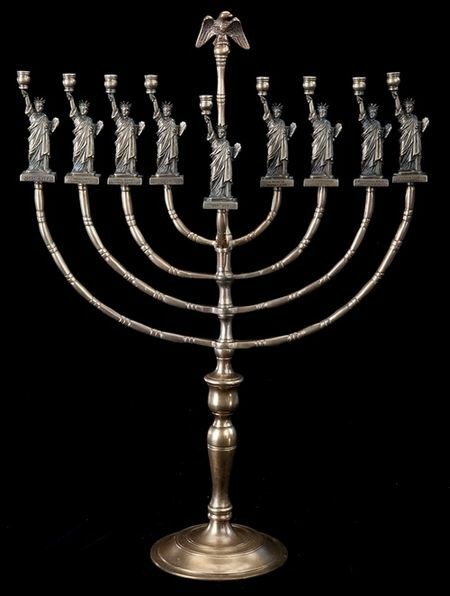 Take a closer look at our Statue of Liberty Hanukkah lamp at the National Museum of American History and find out if a Statue of Liberty is in your town. While there, you can also visit the new Many Voices, One Nation exhibition, which presents the five-hundred-year journey of how many distinct peoples and cultures met, mingled, and created the culture of the United States.